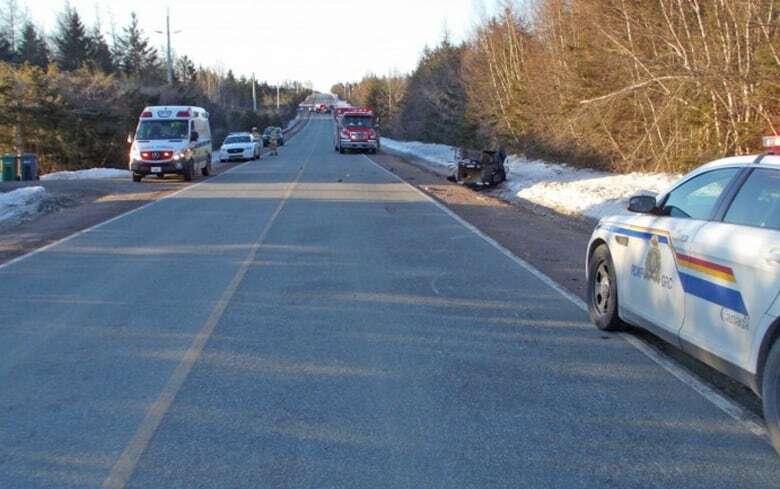 Horse and buggy hit by truck in eastern P.E.I. 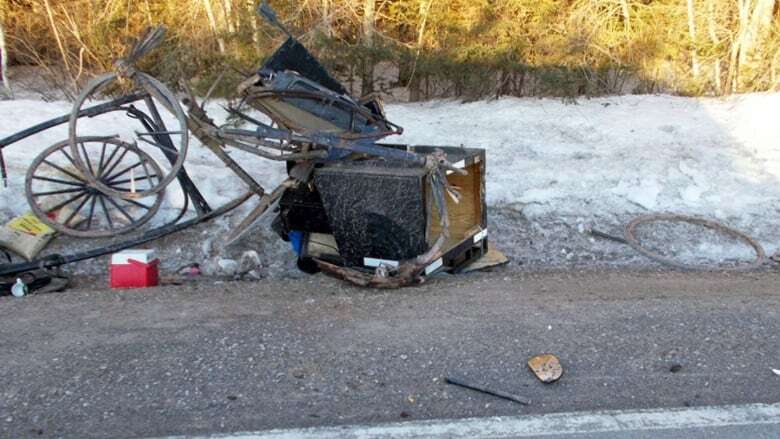 RCMP have laid a charge against a driver of a pickup truck that ran into a horse and buggy in the New Perth area Wednesday morning. The accident happened on Route 22, just south of Route 3, a little after 7 a.m.
RCMP Const. Robert Honkoop said neither driver was injured, and it appears injuries to the horse were minor. "Very, very fortunate the driver of the buggy didn't sustain any injuries," said Honkoop. "It had been struck and significantly damaged and actually flipped into the ditch." Honkoop said the horse is being checked by a veterinarian. The driver of the truck, who Honkoop said was under 18, has been charged for failing to completely clear his windshield. Honkoop said people need to be aware of horses on the road, especially in Kings County. "Typically they have either flashing lights or yield signs," he said. Drivers should adjust speed accordingly when encountering a horse, he said.